Reports surfaced today that the next generation, 2015 Fiat 500 will be manufactured exclusively at Fiat's Tychy factory located in Poland. 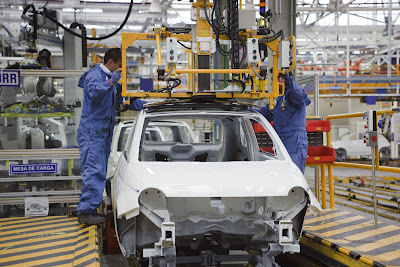 Currently, the Fiat 500 is manufactured at Tychy and also a plant located at Toluca, Mexico. The move to Poland will save Fiat development and manufacturing costs of having the 500 built in two separate factories. The Fiat 500 built in Poland is distributed throughout Europe, Africa, Eastern Europe and Russia, while 500 models going to the Americas and Asia come from Toluca. 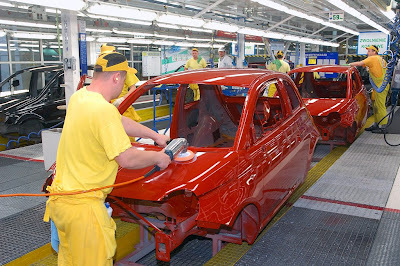 The Fiat 500 began production in 2007 at the Tychy plant, one of Fiat's top rated production facilities. Along with the 500, the factory also manufactures the Lancia Ypsilon and Ford Ka and, until recently, the last generation Fiat Panda. Fiat shifted production of the new generation Panda to their Pomigliano d'Arco factory in southern Italy and now, after losing the best selling A segment Panda, the highly productive Tychy plant has been suffering layoffs. 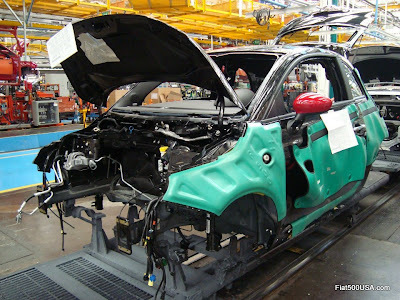 Chrysler's Toluca plant started production of the NAFTA Fiat 500 in December 2010 and produces a car that looks similar to the European car, but has an updated and enhanced chassis and body structure. These updates never made it to the European model because it was deemed impractical to retool the factory when a new generation car is around the corner in 2015. Centralizing Fiat 500 production and creating one global product to be sold worldwide will save tooling and engineering costs and will utilize Fiat's excess production capacity in Europe. Fiat spent $195 million alone in updating the Fiat 500 to meet NAFTA regulations and a further $550 million redoing the Toluca factory. These saving should help offset the cost of shipping 500s around the world. 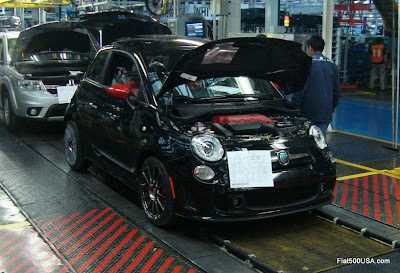 Chrysler is also running near 100 percent production capacity here in the US, so shifting Fiat 500 production out of Toluca can benefit Chrysler and give them some extra capability. All in all, this news makes sense. But as always, we'll keep an eye on how this pans out. Sounds like there is a change of thinking in the management: A year ago Sergio Marchionne was making comments that he was going to produce Alfa Romeo's in the US and export them back to Europe, now it looks like it'll be the other way around. Also the production of the 500L in Serbia and now the news about Tychy fit into this picture. Perhaps they closed down one Chrysler plant too much... or maybe Sergio Marchionne wants to solve some issues in Europe before he retires... For sure he is shifting his attention from Detroit to Lingotto during the last months. Nevertheless there are interresting developments. Alfa Romeo 4C is ready for example, that'll be the first car that is actually produced in Italy that'll cross the Atlantic. Good to hear from you! Chrysler is running near 100 percent capacity here, so they are doing alright. It is in Europe where the problem is. My personal opinion is they will produce the next generation 500 in Europe, but continue the NAFTA 500 as the 500 Classic and distribute that to countries where cost is a major factor. After Tychy is up and running, the 500 Classic would eventually be discontinued. Much the way the Panda Classic overlapped the New Panda and was discontinued after a year. This way, Fiat could recoup some of the Toluca tooling investment. Something to think about!